The Civil Service’s mission is to improve the lives of everyone in Britain, and to help the government of the day put its manifesto into action. This means tackling some of the most complex issues facing the country, responding to both the challenges and the opportunities of our times. Following the result of the EU referendum there is no doubt that we face another significant challenge, but I have every confidence that you are up to the job. I was fortunate enough to attend Civil Service Live in London today, where I talked with civil servants from a number of different departments. I find these events incredibly valuable, as they showcase the variety of roles civil servants play in supporting, securing and improving the nation. And they are a valuable opportunity to share ideas and network across government. As the Civil Service faces up to one of the most complex and important tasks it has faced in decades in implementing the outcome of the EU referendum, it will need to work ever more flexibly and collaboratively. It must move forward against a challenging backdrop of change, not only from the outcome of the referendum, but from the revolution in digital technology that is transforming ways of working and giving citizens more choice, information and power than ever before. All while the day-to-day business of government continues. 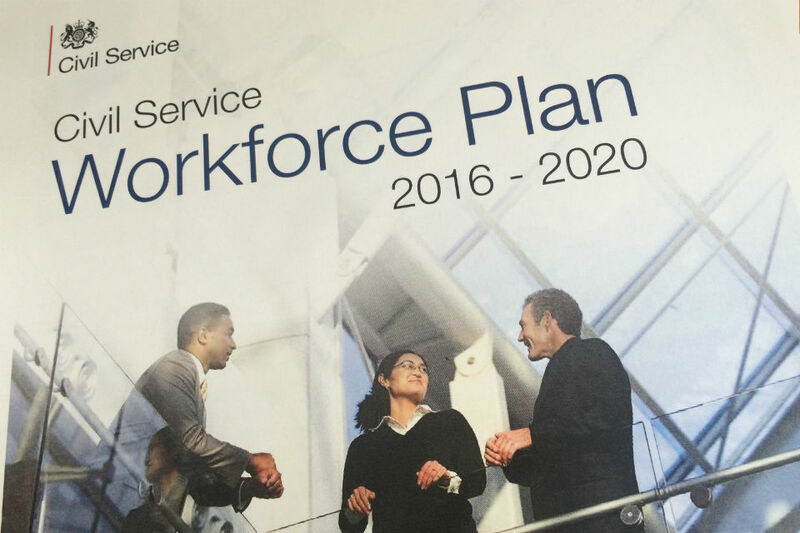 Today, at Civil Service Live, I have launched the Civil Service Workforce Plan. This sets out what we need to do to respond to changes now and in the future, and it provides the mechanisms that will allow us to do so. The Civil Service must attract and retain people of talent and experience from a range of sectors and all walks of life. We have to draw upon the largest talent pool possible and swiftly move people into and across the Civil Service. We welcome those with diverse experiences across all sectors, who share our passion for serving the public. So we will be providing more opportunities for movement through new secondments, the development of regional hubs and opening up recruitment into the Civil Service. The Civil Service must build career paths that encourage a breadth of experience and a depth of expertise. We need planned and considered movement that builds skills and expertise where they are needed, while recognising that it can take time in post to build experience. The professionalisation of the Civil Service has begun, and our Plan will take it further. So the Civil Service will build career paths at all levels of the organisation, offering the right opportunities to build a successful career. The Civil Service must develop world-class leaders, who are inspiring, confident and empowering. The best leaders challenge and inspire people to be the best they can be. This is not just a task for those in formal leadership positions, the Civil Service needs leaders at all levels. So as well as launching a new flagship leadership academy to provide world-class learning, we will create leadership and management apprenticeships. The Civil Service must be the most inclusive employer in the UK. To serve modern Britain, the Civil Service must become more like modern Britain. There is huge potential in diversity, and organisations work better for it. So we must cast the net wider, attracting and developing the best talent from across society. Our ambitious social mobility strategy set out steps for us to achieve this. We will also be reviewing the employee experience, including how the Civil Service identifies talent, to ensure every talented individual has the opportunity to progress, regardless of their background. The Civil Service must develop cost-effective and flexible reward structures that enable us to attract, retain and develop the very best talent. As the external environment continues to change, demand for skills in areas such as digital and commercial continues to grow. That is why we are committing to develop a long-term reward framework that is fair for Civil Servants and the taxpayer, and supports the transfer of scarce and valuable skills in, out and within government. As one of the first steps on this journey, we are developing a flexible reward framework for in-demand skills such as Commercial. I want all civil servants to be part of these changes. And all civil servants should find something for them in the new Plan. I believe this I believe this Workforce Plan offers real opportunities for you to develop your skills, build your career and achieve your potential. I've said I want to see Civil Service jobs as good as at Google. They are already on a different level because our mission is so vital to the health, security and prosperity of the nation. Together, I am confident we can complete that mission. Our Civil Service is rightly admired as one of the best in the world, but together we must make it even better. I am confident that over the next few years we can complete that mission. 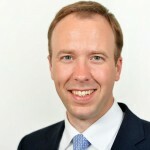 How do you reconcile the fifth key priority area, “The Civil Service must develop cost-effective and flexible reward structures that enable us to attract, retain and develop the very best talent.”, with the Chancellor’s decision to cap pay increases at “an average pay award of 1% for 4 years from 2016-17”? Will some areas see pay/reward packages frozen or cut to fund increases in pay/reward packages in other areas (such as digital and commercial)? Is the 1% cap being scrapped? To add to what Stewart said - how can you possibly believe that under the current pay restraint the Civil Service can recruit and retain any qualified specialists? As for rewarding staff - I pass a MSc in engineering for my specialism. £770 a year less than I was on 5 years ago (well over £3500 if you include the loss of increments) and no promotion posts for me to go for. Of the first batch of 18 engineering apprentices in Abbey Wood. Last I heard - only 2 still work for the MoD - why? Breadth of experience and depth of expertise? You can't expect everyone to be a generalist in everything and an expert in everything. The civil service is not realm of miracles, it is part of the ordinary world. You need specialists to stick to their area and be well rewarded for it. And you need generalists who can do their job without specialists looking down on them just because they are not specialists in an area. We are all part of one team and team members should be empowered to carry out their functions, rather than everything be mixed up in some untested civil service reform rhetoric/theory. The civil service needs to respect time tested organizational management practices. Antoni, I see your point. I think we need something that speaks to us all. It's not so much about Civil Service aims, aspirations and values, I get that. It is that for the majority of colleagues it may just come down to how the CS will provide the bare necessaries needed to retain staff, that is a fair wage, and other terms and conditions, appropriate to the level of responsibility. The National Living Wage is targetted to reach £9 an hour by 2020. Given projected Civil Service pay rises, I presume that this amount will be pennies below what Admin Officers will expect to receive at that time. Would it make economic sense for Admin Officers and below to continue working for the CS, at that point, without a fundamental change to its pay and reward policy? Whilst the ideas are noble and well intentioned , my main cincerns are tis. In order to have a professional workforce you first of all need to root out the bullying managers and stripped them of authority. There can be no room for bullying and backstabbing in the civil service. Secondly you need to uncap the pay. If you want to retain people, you need to give bigger pay rises. I am in debt and now at breaking point. People like myself who are financially struggling are going to start looking for more well paid jobs. Finally regarding drawing from a talent pool, you already have many employees who have degrees. I am one of them. And i have other skills which i can offer, but i dont have an opportunity to expand on them and stuck in a role which is not making the most of what i can offer. What can you give to many employees like myself? So, 'special' leaders and senior civil servants and specialists get looked after but the PBI who actually do the day job and keep the systems running get diddly ... way to motivate. Vision is great but staff motivation is often influenced by rewards, not pay freezes, increases in pension contributions , increase in NI contributions and job insecurity. An interesting read. I share the concerns of the above commentators about Pay and recruitment. I fear the cost required to modernise the service will be astronomical. Also it looks like there will be a chance of emphasis as defined by this New Prime Minster. She will be less ideological ( obsessed about wholesale usage of the private sector methodology). Does not the abandonement of the Austerity agenda mean 'cost cutting' is not part of the main discussion? I think that the CS should start to look for training outside the traditional routes that it has taken regarding in-work education. Over the last few years Massive Open Online Courses (MOOCs) courses for things like programming, digital marketing, big data and general digital skills have become really, really good. Most are interactive enough to be a lot more interesting than traditional 'e-learning'. They are also relatively cheap - and usually work on a monthly subscription basis of around £25-50 per person per month, for access to a range of learning materials. The benefit with such courses is that they can be studied from anywhere and also help knowledge retention as they necessitate spaced learning/repetition, rather than cramming things into a few intense days of classroom instruction. I'm sure a large organisation such as the CS could push for economies of scale if it was decided that this was something that should be trialled. I have been a civil servant for all my working life, due to retire next year. It's correct the Civil Service needed to remodel, become less beaurcratic and offer better value for money. From the inside looking out, we have done this, in part. Hower, the lack of investment in times of austerity has caused it to stall, whereas the private sector has moved on with more efficient systems supported by fit for purpose IT. Salary packages and benefits to attract and retain those leaders which are necessary in any successfull business. Sadly, the lower down the food chain you are the less relevant this workforce plan becomes, it doesn't appear to be inclusive of all grades - of maybe it was never intended to be. It is obvious to a lowly serf, like myself, that the Workforce plan is aimed at the SCS and it is proposing rewards for leadership and direction. Can I ask - How will these changes in leadership be implemented with an underpaid, demotivated and ageing workforce? I've been a low ranking (Band E) Civil Servant since joining not long after leaving school in 1979. It was the worst career decision I ever made; encouraged by a family who saw the Civil Service as a solid, respectable career. Now at 53 years old and 37 years later, my salary is £20K per annum and is unlikely to rise before retirement (if I'm not made redundant or privatised - then thrown out first). Promotion boards sat in the 1990s told me my face didn't fit. The Civil Service has fallen way behind the private sector on all levels. Nepotism leads to a select few having a career path carved out for them and retired Service personnel are given plum options of first pickings on management jobs regardless of their academic qualifications. Stifled by weak trade unions we have been led on a dusty path to nothing. I forecast the future Civil Service looking like an empire created by the Roman emperor, Nero. Surrounded by terrified 'yes' men comprised of all managers and no workers. We all know how that ended. I left the civil service after a 23 year career there for the private sector. My reasons: successive governments polices towards the terms and conditions of civil servants had come to represent a clear and present danger to my financial security. The civil service has swallowed the special advisor's mantra of 'more for less' to its detriment. Similar private sector roles recognise skills and experience and pay on average 20 percent more in my experience. The civil service needs to become an organisation that people want to excel in, till then, without private sector pay matching your not breathing new life into it. Your just letting it die slower. It is apparent that if you have served in HM Forces and on leaving, you wish to continue public service by transferring to the Civil Service; you are treated as an External candidate and offered the minimum salary, without the same salary matching entitlements afforded to internal civil service candidates. I thought that retaining skills and experience by transferring them across to the Civil Service, was cost effective for the govt and the public. I am now faced with the prospect of turning down a civil service job offer (24K, instead of the 30K offered to civil service internal candidates) and being forced into the Private sector. Surely there is a need to make sure that govt retention schemes are more joined up and less tribal? It just doesn't seem right that Military Service is not valued, when it comes to matching Civil Service salary awards.